Fruit trees are like a long-term investment – in time, space and money. 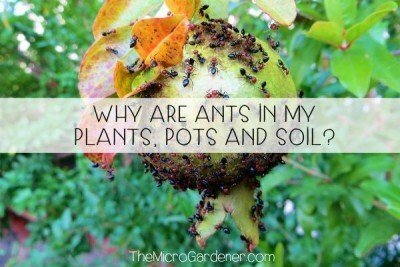 I think of my fruit trees like V.I.P.’s in the garden. Very Important Plants! 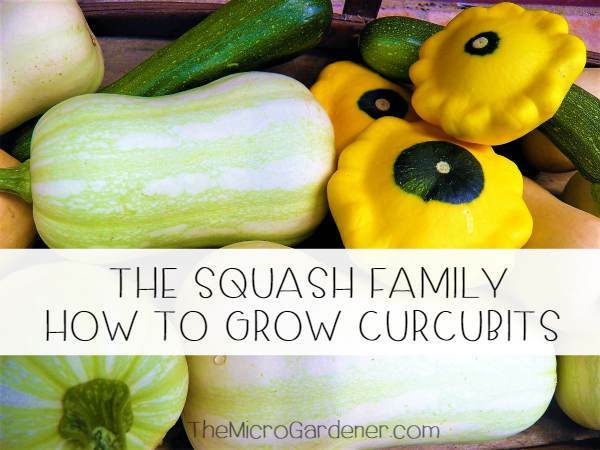 They get the best position and special treatment, so why bother growing fruit you aren’t that fond of? How do you choose, if you love LOTS of fruits? Which fruit do you spend the most money on? Which fruit do you eat the most of? Consider adding these fruits to your wish list. These are a good starting point for researching varieties that may be suitable to grow in your area. My husband always wanted a peach tree, so I found a tropical peach that produces plump fruits every year in a large pot. If you only have limited sunlight, your choices in fruit will be more limited than if you have 6-8 hours of sunlight/day. The majority of fruit trees need at least some sun to produce a healthy fruit harvest, and most prefer full sun. 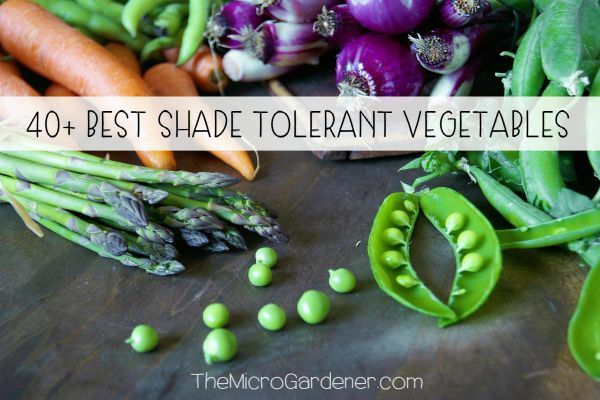 However, there are some fruits that will grow in partial shade too, so don’t despair! 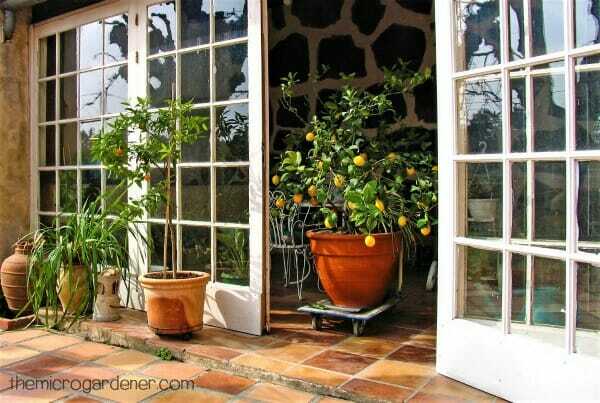 Remember to consider your vertical space as a potential area to grow fruit. Some fruits can be espaliered (trained to grow vertically on a frame). 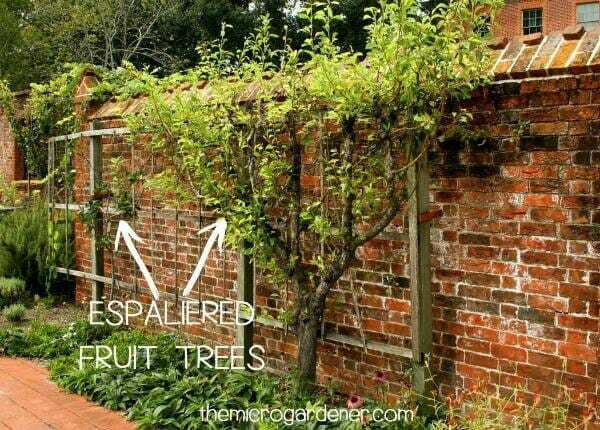 Apples, pears, apricots and plums are a few fruit trees suitable for espaliering up trellises, fences and even unused vertical space along walls. If you spend a lot of time mowing, watering and maintaining grass, how much return you get for your efforts? If you have children or pets that really need the space, you can probably justify your lawn. 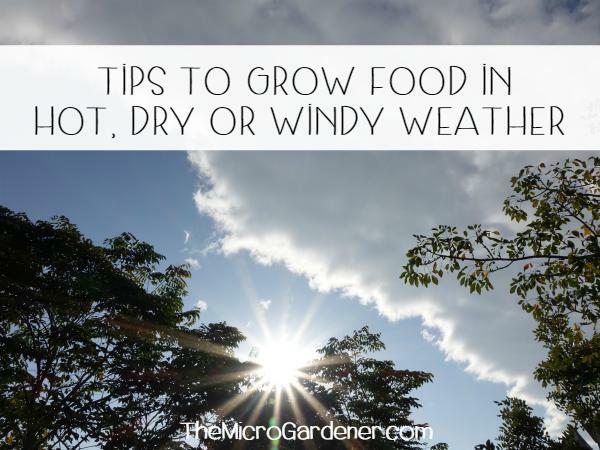 However, if you have limited space for fruit trees, consider swapping grass for groceries. You could grow kilos of fruit every year in the same space! Lawn or lemons? Mmm … I’ll leave you to ponder that one. There are so many fruit tree varieties to choose from, but one of the most important factors is your unique climate. Contact local nurseries, speak with neighbours, visit community gardens or farmers in your area to find out what grows well. Whilst most apples thrive in cold climates here in Australia, in the subtropics where I live, we can thankfully grow tropical apple varieties! It might take a little effort to research suitable fruit tree varieties in your area, but this can make the difference to your long-term fruit tree success. 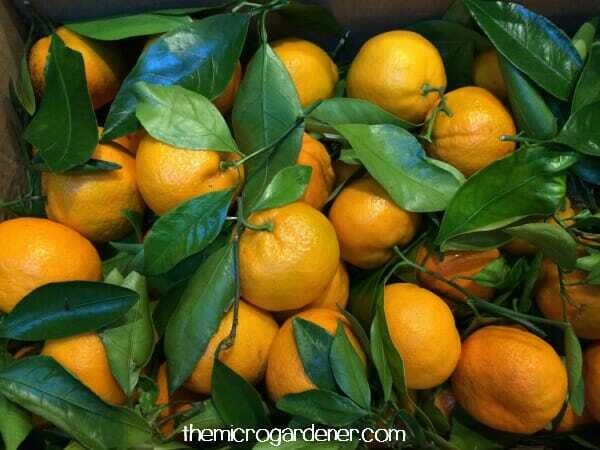 You can also create a suitable microclimate for the fruit tree you want to grow e.g. by providing shelter or planting against brick walls to benefit from reflected heat. 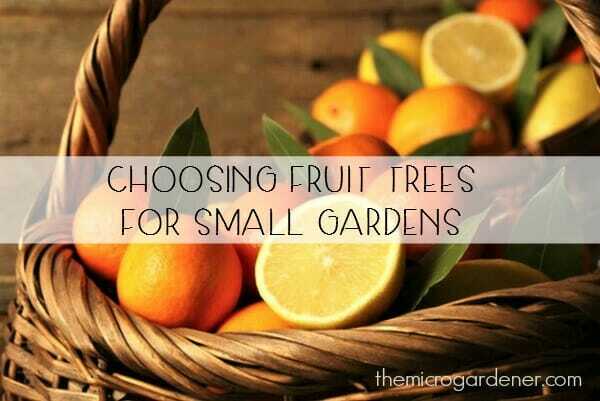 Most fruit trees typically reach a mature height of at least 4.5m (15ft) if not pruned. 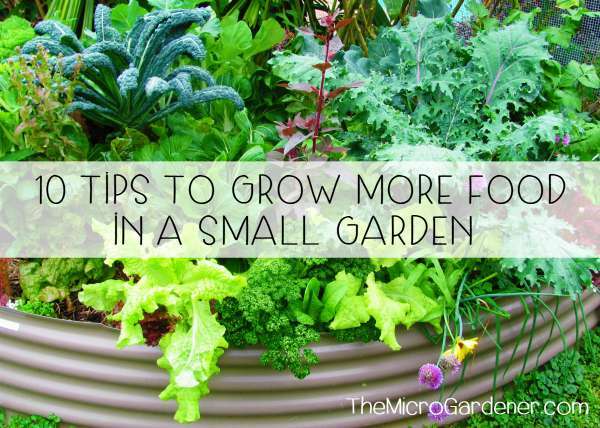 In a small garden, most of us wouldn’t have room for more than a few trees this size. If you want to grow several varieties, you’d quickly fill the space or have to spend a LOT of time pruning. So what’s your solution? 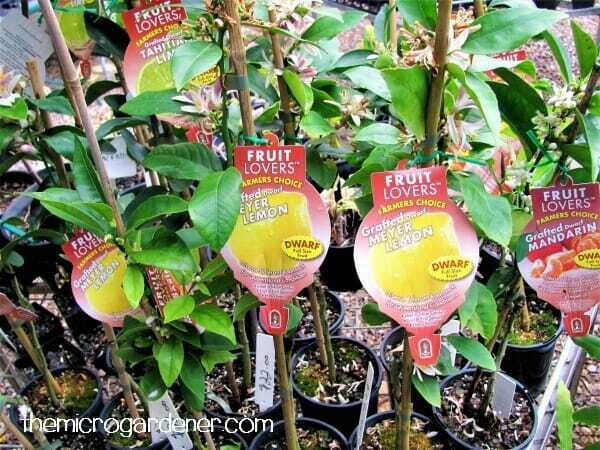 Dwarf fruit trees! These are grafted onto roots from a related species – a shorter, more compact fruit tree ‘cousin’! So dwarf fruit trees grow in less space and to a lower height than if they grew on their own roots. Are much easier to access for harvesting – no ladders! Some dwarf rootstock offer you other advantages, like being resistant to disease; suited to wet or dry soils; strong vigorous growth; or ability to withstand winds. The size of the pot will limit the growth of your fruit tree. You will need to re-pot into a larger container as the tree grows, probably at least every 18 months – 2 years. The shape of container should make it easy to remove your tree. Grow bags and fabric Smart Pots are a couple of solutions. Only choose pots that have straight sides or taper in towards the bottom for easy removal. Many pots (especially unfired clay) and potting mix dry out quickly. So consider a low-maintenance drip watering system like EasiOyYa to keep moisture up to your potted fruit tree. Many fruit trees need pollinators such as bees, beneficial insects or bats to fertilize flowers and ‘set’ fruit. Other fruit tree varieties need more than one tree to cross-pollinate. If you want a variety of different fruits in a small space, this can present a challenge. No pollination = no fruit! In a small garden space, one of the easiest solutions is to purchase fruit trees that are ‘self-fertile’ or ‘self-pollinating’. 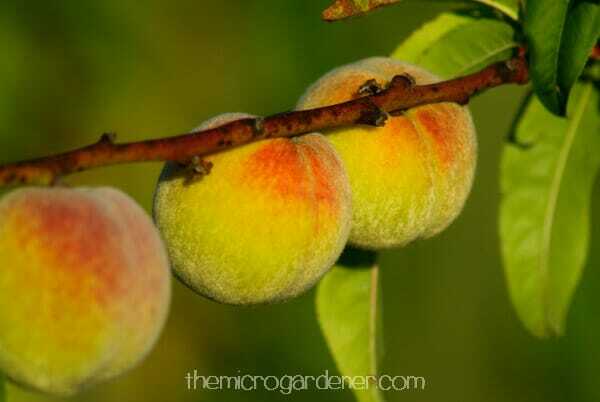 Some fruit trees that are usually self-fertile are citrus, figs, peaches, apricots and nectarines. You may also find some multi-grafted trees such as citrus (lemon, orange and mandarin on the one tree) are also self-fertile.